During the past month, we’ve heard of several ideas and seen several attempts to give some relief to distressed homeowners facing foreclosure. Here are a few: interest rates have been lowered, loan modifications are being proposed, foreclosure moratoriums have been suggested as has the use of bankruptcy courts to restructure loans. Each approach offered by government and banking officials is flawed, but at least they’re finally looking at the problem. This past December, Fannie Mae made a move when they put a moratorium on foreclosures through January 9th. Their reasoning was that they were installing a new computer system that would allow them to address the challenges of the current market much more efficiently . . . and they wanted time to come up with some ideas on how to handle all the foreclosures. So what did they figure out? You got it! 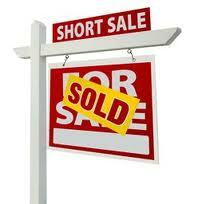 Fannie figured out that short sales present a very good way to get these properties moved fast. Fannie is now testing a program in Orlando and Phoenix whereby they will agree to a minimum price for which they would be willing to sell a house, rather than risk having it go to auction and sit on the market for months. In essence, they want to do the short sale BEFORE there’s a buyer and then give the approved price to the real estate agent who then can market and sell the property. Many real estate agents loath short sales because of the complex paperwork and the incredibly long response times it takes for lenders to respond to offers. Agents often lose their buyers because banks move too slow. Fannie Mae believes that any solution for today’s housing crisis will have to involve real estate agents, and to get this group on board, they’d need to take away obstacles that cause agents to run in the other direction. It always looks good on paper doesn’t it? 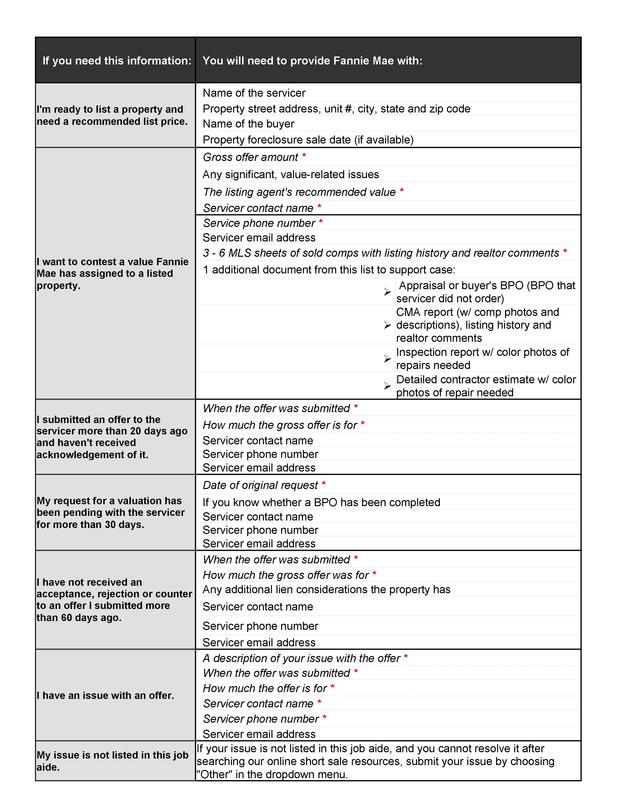 If the reason agents aren’t doing short sales is because they’re complicated and take too long, then Fannie is going remove those obstacles and give the agent a number that they can successfully market. That way there’s no complicated paper work, and no guessing at what number the bank will finally approve. But for Fannie to make this work, they need to overcome two challenges: 1) Working with homeowners to provide the information (short sale package) that is necessary to get the approval; and 2) A reliable way to determine market value. In addressing the first concern, Fannie Mae could waive standard short sale package guidelines. Regardless, Fannie Mae is going to need to make the process as simple as can be on the front end so that homeowners can effectively begin the process. As for the second concern, who is going to make the decision on what each property can sell for, if the number is being determined BEFORE an agent gets involved? Is it too far of a stretch to think of a 25 year-old in a cubicle looking at comparable properties for each case and ball-parking a number without understanding the market? Moreover, do you really think Fannie will be aggressive in discounting property before they know what the market will actually bear? And will it be enough of a discount to lure buyers? Let’s use Los Angeles as an example. LA has seen value declines in middle class areas as much as 40% in 2008. In 2009, they are expecting a drop of 24% followed by a 6% drop in 2010. Do you really think that Fannie will set minimums low enough to reflect what going on in the Los Angeles market? Keep your fingers crossed for the next administration and hope that whatever they decide to do, it works. I want to take a moment to wish you a very safe, happy, healthy, and prosperous year in 2009! So what are your resolutions for 2009? Let me know or post them below so I can help you achieve them and have it be the best year you have ever seen! It was featured on: Forbes.com…Yahoo Finance… AOL Money…Los Angeles Times…and MarketWatch.com!! And you can get it today at NO COST! I have arranged for you to get a mountain of “how to” information (and other stuff) that can make you some serious coin in real estate in 2009. The best part is, it doesn’t matter if you’re a PRO or just starting out. With this offer, you’ll have information on whatever part of the real estate biz you want to learn more about. who you may have never heard of before! Below, is a VERY small sample of the “how to” information and stuff you get at NO CHARGE with “The Greatest Real Estate Giveaway” ever!! It’s all there. THOUSANDS of dollars worth of real estate money-making information at NO COST to you! Hurry, before this VERY generous offer ends at midnight on 12/31/08 and you miss out.